Sure, you may come across some pricey vehicles when you're seeking the best deals on new cars However, you won't see anything approaching the price tags of the most expensive cars ever sold at auction. Many of these vehicles have fetched some ridiculous prices, and there's seemingly a new record-breaker every year! Of course, as PopularMechanics.com notes, there are several things to first understand about auctions. The hosting companies often take anywhere from five- to 17.5-percent of the selling price, and the seller may still owe several seller's premium fees. That's a big reason why vehicles fetch so much during auctions, although you'll notice below that several larger deals were finalized between private parties. Regardless, it can be fun to explore the most expensive vehicles ever sold at auction. If you somehow run into the lottery someday, maybe your purchase will be included on a similar list! 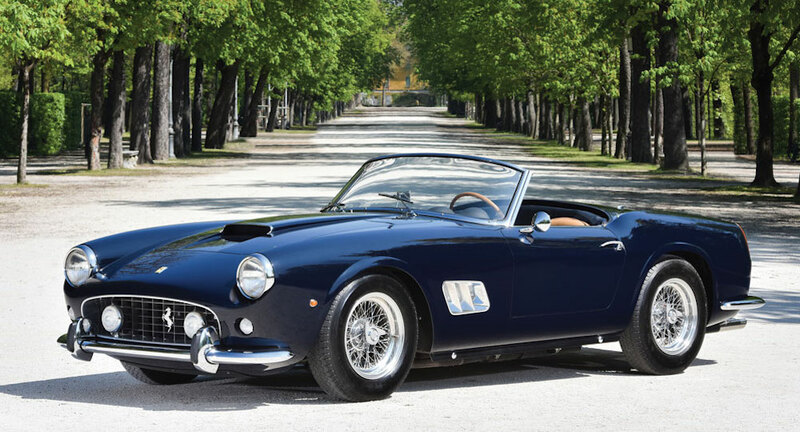 The auction price for this classic Ferrari shattered all records in 2014, as it was sold for an incredible $34,650,000. This broke the previous record (which we'll get to later), a mark that was set only a year previous. "The market right now is just so strong," Marcel Massini, a Ferrari historian and adviser, told Robert Frank of CNBC.com. "And this is one of the big prizes in the entire collecting world." A legendary race car from the 1960s, the GTO is particularly rare because there were only 36 models made during the nameplate's run. This had made the Ferrari quite the popular buy on the classic vehicle market, indicated by the $52 million an enthusiast previously paid to a private seller for a GTO. The vehicle auctioned off in 2014 was originally owned by racing driver Jo Schlesser, who purchased the vehicle in 1962. The owner (and vehicle) would eventually go on to a second-place finish in the 1962 Tour de France. This particular vehicle holds the particularly sinister distinction of being the only GTO to be involved in a fatal crash, as Henri Oreiller was killed in the vehicle during a 1962 race near Paris. Luckily, the vehicle was fixed up, and it was later sold to Fabrizio Violati, who completely restored the vehicle back to original form. The driver was eventually able to ride the vehicle in some smaller races, and he continued using the vehicle in "classic-car challenges" up until the 2000s. When the car enthusiast died in 2010, his family sold his entire Ferrari collection for over $100 million. The winning investors eventually sold the vehicle through Bonhams Auction House. The previous holder of the record was sold in 2013 for a pretty $29,650,095. As John Lamm of Car and Driver writes, this may seem like an outrageous price (there's no denying that), but it could be somewhat justified due to the specific vehicle's history. Number-six of 54 models, this particular Formula 1 car (featuring a 2.5-liter straight-eight open-wheel design) won the 1954 German and Swiss Grands Prix (as well as six other Grands Prix) with legendary driver Juan Manuel Fangio behind the wheel. The vehicle ultimately made its way to the Beaulieu National Motor Museum in England, which decided to sell the car to help raise funds. 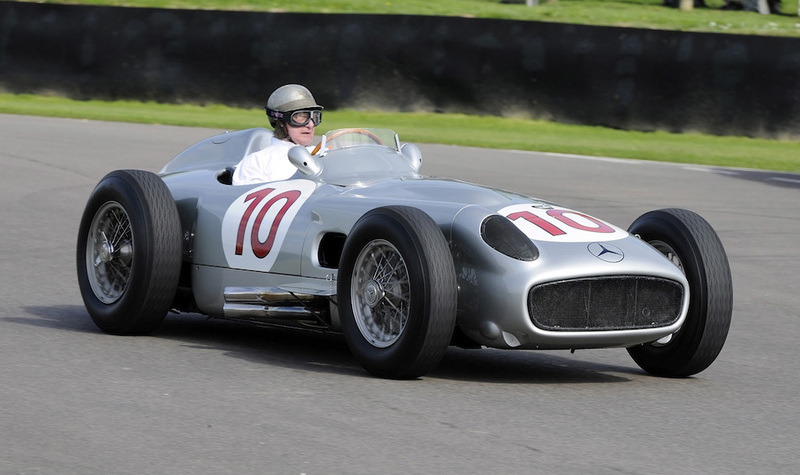 The W196 featured a different design than many of Mercedes-Benz other racers. The canted engine helped lower the vehicle's profile and center of gravity, and the power ultimately came from the four-to-five cylinders via the five-speed transaxle. Similar to the Ferrari GTO, a more-expensive W196 was sold in 2012 by a private dealer. 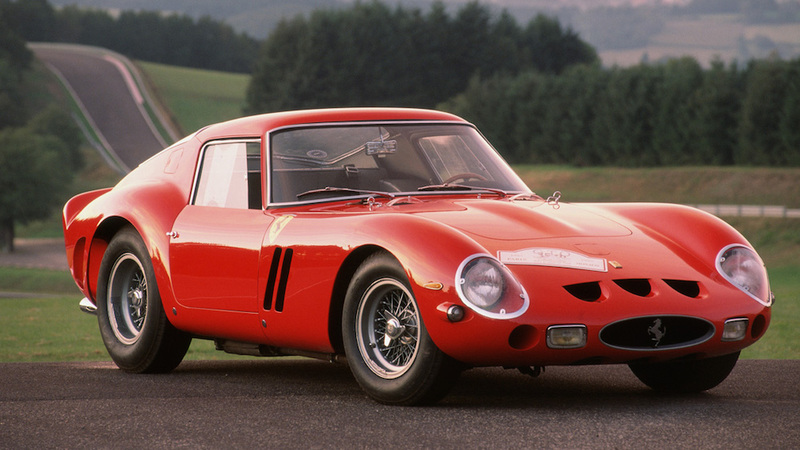 That 1962 Ferrari ended up fetching around $35 million. This tiny racer was sold in August 2011 at Gooding and Company's auction in Monterey, California for a pretty sum of $16,390,000. Due to the assigned factory serial number of 0666TR, the Ferrari was affectionately known at the '666' Testa Rossa ("red head" in Italian). 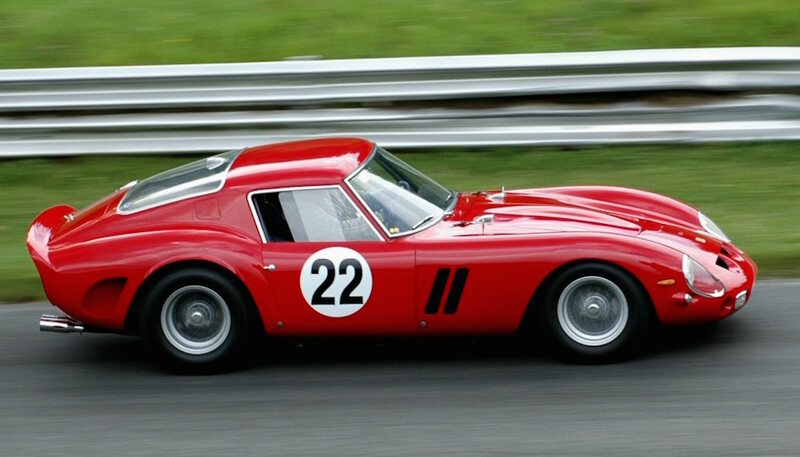 The Ferrari actually had a lasting impact on the brand, influencing several future vehicles. The "pontoon" bodywork was soon adopted by many of the brand's rides, and the standard 3.0-liter V12 engine ended up becoming a staple of Ferrari, as well. The vehicle's body was intended to be both lightweight and reliable, so the engineers cleverly included "old-tech drum brakes and a live rear axle." 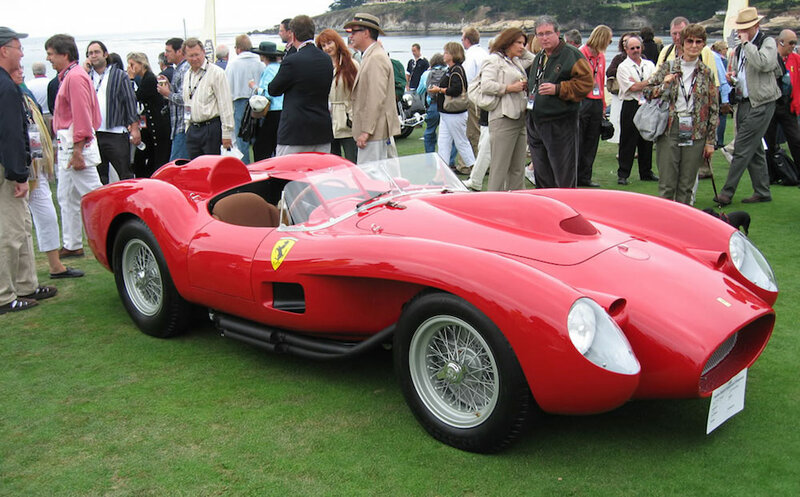 This made the Testa Rossa a great choice for the racing circuit, and Phil Hill and Oliver Gendebien eventually won LeMans driving the vehicle. An identical model was sold in Italy in 2009 for a still-expensive $12,402,500. While the car's style and numerous racing accolades certainly made it quite the commodity, there was another reason for the incredible price tag: there were only 19 250 Testa Rossas ever built. Makes a bit more sense now, huh? Another Ferrari ends up on this list, as the GT SWB California Spyder was sold in Italy in 2008 for a (then) staggering $10,894,900. The vehicle separated itself from other racers due to the inclusion of the innovative 3.0-liter V12 engine, and this particular Ferrari was especially rare due to the short wheelbase design. This specific vehicle was actually originally owned by Oscar-winner James Coburn, who purchased the used car in 1964. The actor owned the vehicle until 1988, and the next owner eventually sold it off 20 years later to English radio host Chris Evans for around $11 million. We aren't only going to group these two Bugatti Royales together because they're from the same year and the same brand. The two vehicles were actually auctioned off in back-to-back years, and the vehicles sat atop the list of 'most expensive auction cars' for nearly two decades! The Berline de Voyage briefly held the record, as the vehicle was sold in 1986 for $6.5 million. This almost doubled the price of the previous record holder, the $3,424,490 Aston Martin DBR2. This vehicle was actually originally unsold to the public, kept by Ettore Bugatti, the founder of the company, as a personal ride. The vehicle was initially sold in 1950 to racer Briggs Cunningham for $571 (and a pair of electric refrigerators), and it eventually bounced around various owners (including the founder of Dominos Pizza). 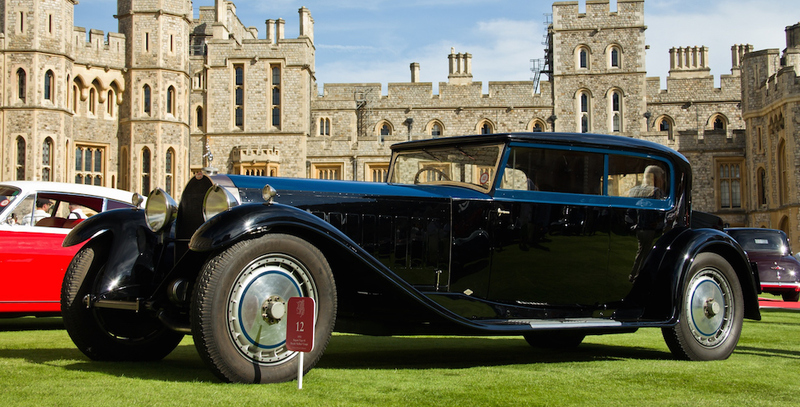 The Kellner Coupe was sold in London a year later for $9.8 million. While the company had initially planned to produce a luxurious vehicle that would appeal to "kings and queens around the world," the coupe ended up not being embraced. That resulted in only six of the vehicles being produced, making it one of the rarest nameplates in the world! To put it over the top, the vehicle featured a 12.7-liter engine, a unit often found in aircrafts and trains. The auctioned vehicle has a particularly interesting history, as Bugatti hid the car in a brick French garage to hide it from the Nazis. Predictably, the majority of the vehicles mentioned above feature luxury, history, and scarcity. None of these cars were common even when they were produced, making them especially rare today. If we've learned anything, it's that you should be keeping good care of any exclusive vehicles you may be lucky enough to own.